As buying an apartment in a foreign country represents a great challenge,I intend to help you in knowing or discovering the great principles of real estate regulations here in Paris, where as a parisian native, I am living since always and doing my best to help you finding the apartment of your dream. To find an apartment in Paris takes time, energy and a good knowing of the different districts and subdistricts of the City , but also patience and perseverance ! You may indeed ask yourself why 3 or 4 months will be necessary before becoming owner after having found « the » apartment and coming to an agreement about price ! Second option seems more comfortable as long as you meet an english speaking broker who will feel concerned by your search : I advise you to find a well established agency in the district you wish to settle down, they know perfectly the district, the prices and will be able to help you ! 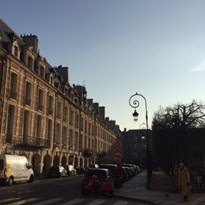 Goods and dead line are limited elements in Paris Real Estate Market : property tends to move fast in: sometimes a property is sold the same day it goes on the market. Once you find a place you like, you may have to act fast. To sum up the timeline : you will need time and most of the times : more than one trip to precise areas and prices equation , to find « the » apartment, and then you will have to follow a precise schedule , with the help of a french notary to draft reservation contract , you will of course meet your notary , intending to attend or to sign a proxy in order to go back to your country if needed. The notaries of Paris play a specific role in handling matters of property and family law (eg. inheritance, marriage, divorce), similar to the role undertaken by solicitors and conveyancers in the United Kingdom, for instance. As members of the French law profession, notaries are responsible for drawing up deeds relating to property purchase. The Paris Chamber of Notaries website is intended as a source of legal information for anyone seeking to buy or sell property in Paris or the Paris area, whether it concerns a flat, a house or offices, for your own use or as a buy-to-let investment. What’s happeing between the preliminary contract and closing ? Congratulations : you are a real Parisian landlord ! A very pleasant and useful read! It gives all the details on the sales process in France, which is often misunderstood and complex for buyers! Thank you! Nathalie was very nice with my wife and I every time we came to Paris. She is very knowledgeable about the real estate market of Le Marais and helped us find the "pied a terre" of our dream!